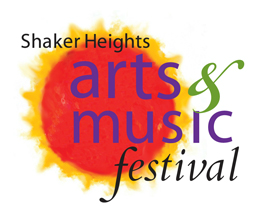 Shaker Arts Council is no longer sponsoring the Shaker Heights Arts and Music Festival. The Festival has been canceled until further notice. Thanks to our sponsors, musicians and kids activities for making it another great year! Shaker Arts Council Shaker Heights Arts & Music Festival is supported in part by the residents of Cuyahoga County through a public grant from Cuyahoga Arts & Culture.